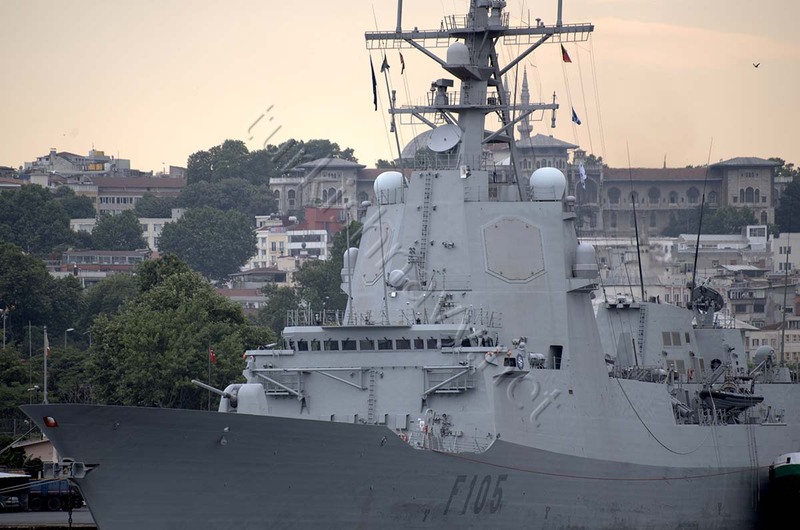 Almost one year later, the Standing NATO Maritime Group 2 is in Istanbul again. 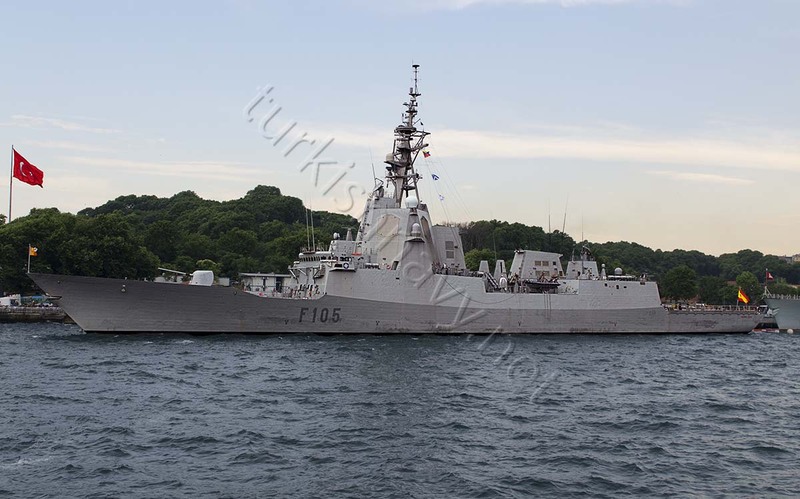 According to NATO Maritime Command web site the SNMG 2 is made up from the following ships: F-105 SPS Cristobal Colon as flagship, F-247 TCG Kemalreis, FFG-50 USS Taylor, 334 HMCS Regina and A-630 FS Marne. 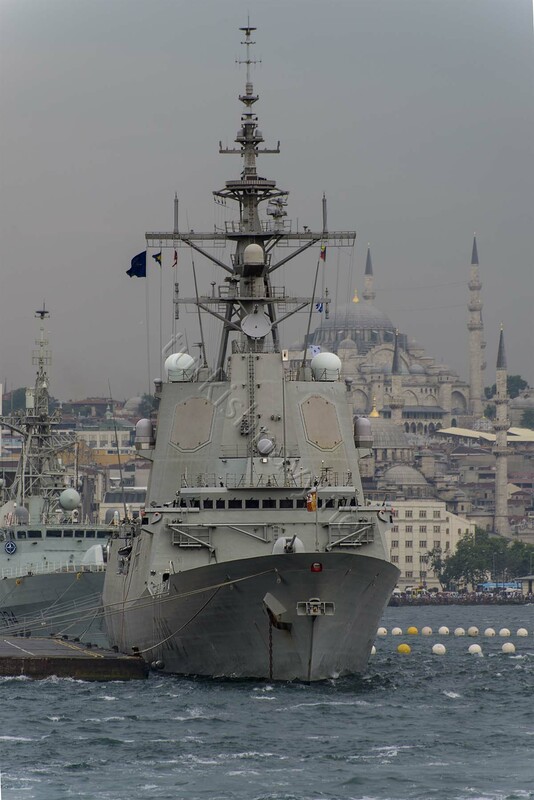 The task force, without the US and French warships arrived in Istanbul on 19 June 2014 afternoon. The big question is where it will sail when their port visit is over? To the Black Sea or to the Mediterranean? F-247 TCG Kemalreis. 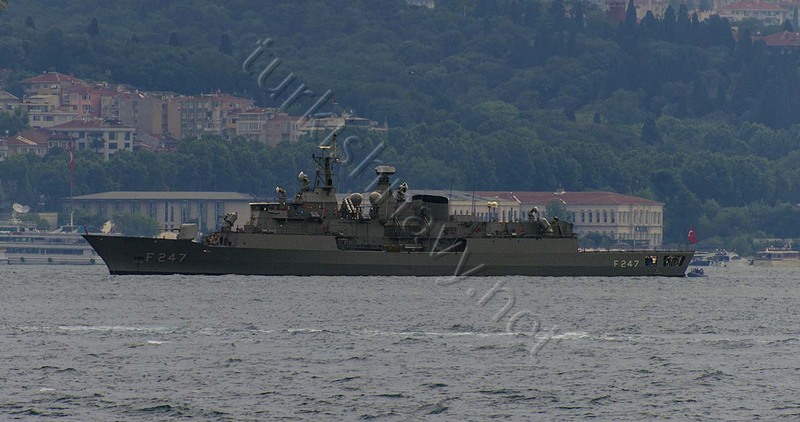 Turkish contribution to SNMG-2. 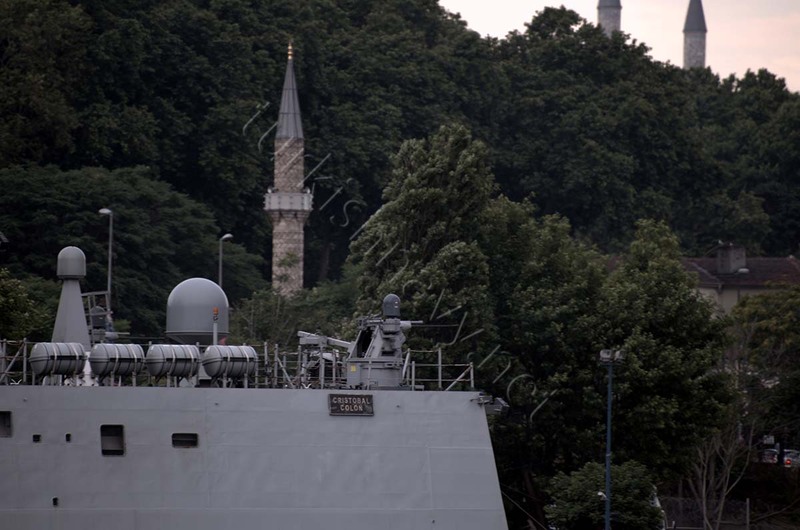 Last year her sister F-246 TCG Salihreis was with the task force. F-105 Cristobal Colon. Most if not all Álvaro de Bazán class ships served as the flagships of SNMG for in turn during the Spanish command of the task force. 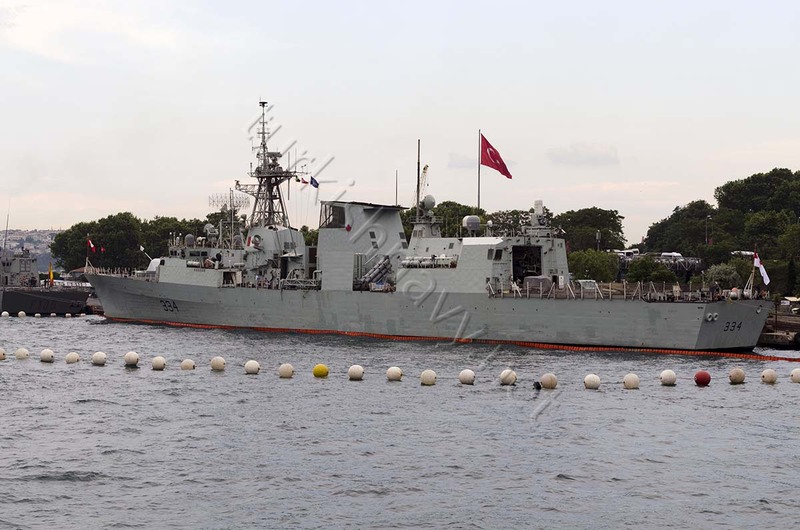 Long time no see: A Canadian warship in Istanbul. 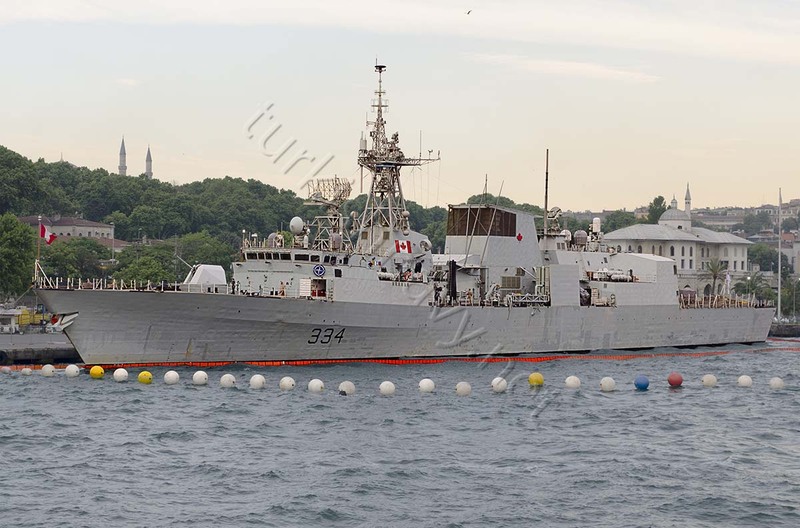 FFH-334 HMCS Regina. F-105 Cristobal Colon. 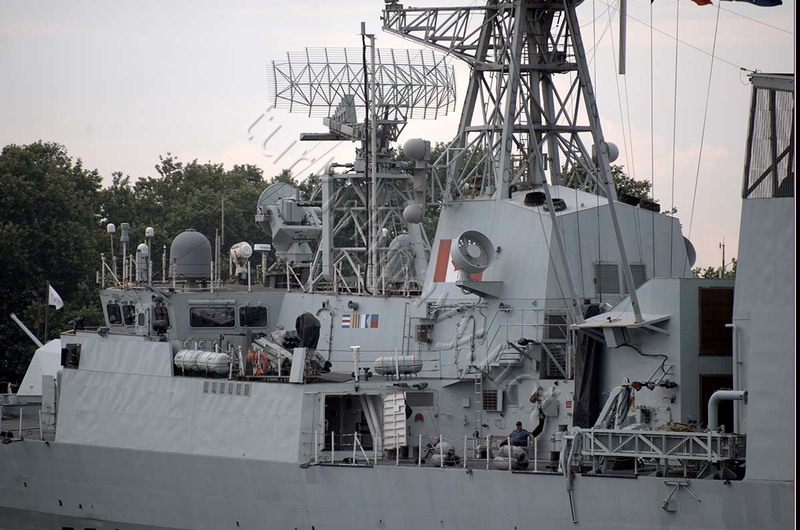 The flagships of SNMG. US made Bushmaster as CIWS instead of indigenous Meroka!? What was the reason for this decision? space or weight limitations or performance issues? 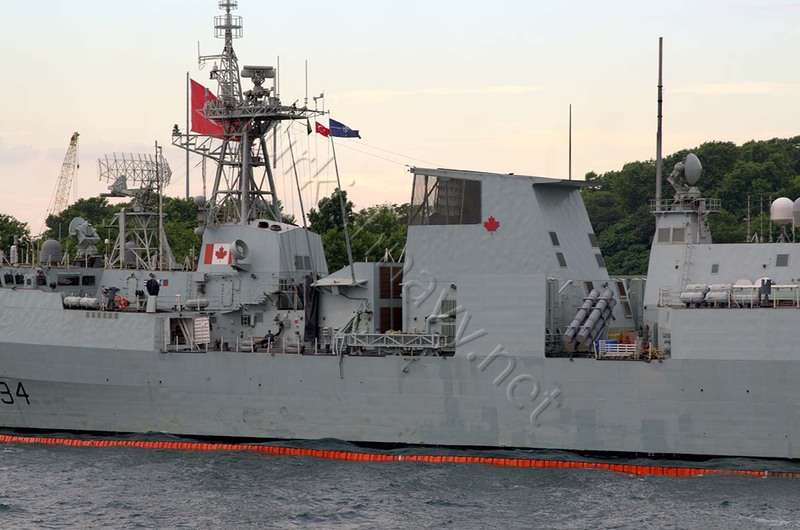 FFH-334 HMCS Regina. The side of the funnel is an unusual place to install Sea Sparrow SAM missiles. Regina is FFH 334 instead of FFG. Will be replaced by Toronto in August.